I love it when a bride is just as excited about paper as I am! For Kyly and Ryan wedding in Johannesburg, South Africa, one of the few personal touches that could fit into a luggage was the wedding paper. Earlier in the year, we designed and printed their wedding invitations far in advance for their guests to attend this once-in-a-lifetime safari wedding. As the wedding weekend neared we worked on various pieces to make each guest's experience extra special for making the long trip. Throughout the design process, I kept the palette neutral in a "safari chic" style. To add texture, we played with different papers and mixed letterpress printed pieces with digital flat prints. 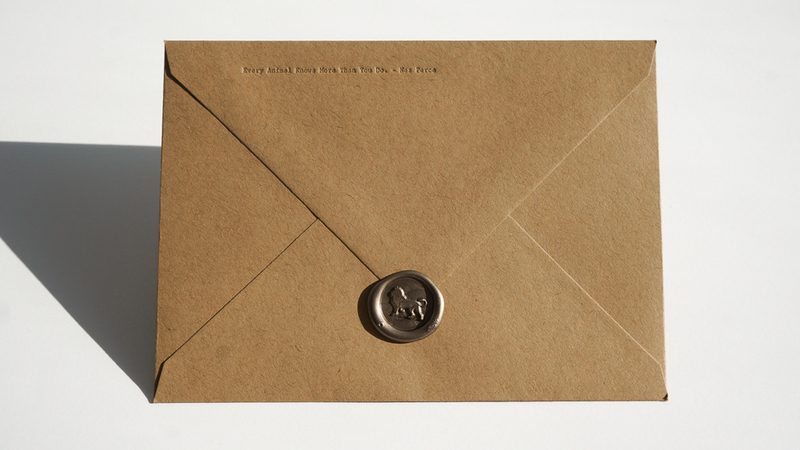 Each guest received a special note handwritten by the bride and groom upon their arrival on letterpressed stationery enclosed with a wax seal. The personal touches, all ideas from the bride, really made each guest feel the warmest welcome. Keep scrolling to see paper details from rehearsal dinner, wedding program + menu and even down to the napkins. This is a first for so much paper to go quite the distance from Los Angeles to Johannesburg. I'm so honored to have been a huge part of their wedding in a paper kind of way. Thank you Kyly and Ryan!